Just wait until you pull a pan of these tasty treats out of the oven. Your brownie-loving family will have their minds — and taste buds — blown. You see, these brownies aren’t brown; they’re blonde. Did we mention that they’re simple to make and ready in less than an hour? Well, let’s get started! Preheat oven to 350ºF and grease a 9×9-inch baking pan. In a bowl, combine sifted flour, baking powder, baking soda and salt. Sift again. Add chopped pecans and set aside. In another bowl, combine melted butter and brown sugar. Mix well and let cool slightly. Mix in beaten egg and vanilla. Slowly add dry ingredients to the butter/sugar/egg/vanilla mixture, mixing until just combined. 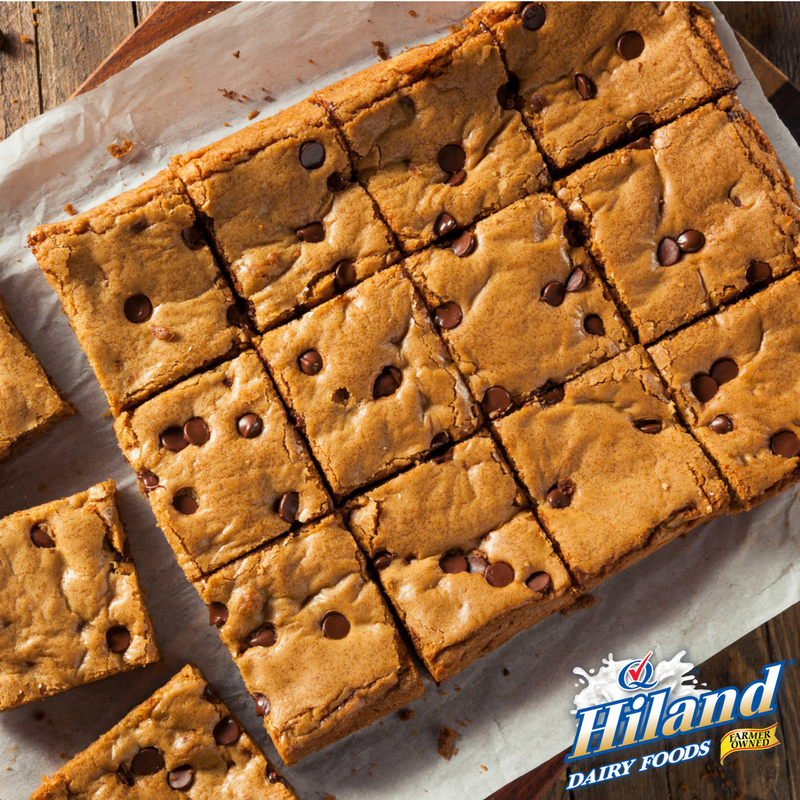 Spread batter in greased baking pan, sprinkling chocolate chips on top. Bake for 20-25 minutes or until a toothpick inserted into the center comes out clean.